Compare Food Processing Thermal Cookers: Bellini Kitchen Master or Kenwood Cooking Chef? Food processing thermal cookers are some of the latest modern kitchen appliances to hit the north American market. They are designed for busy gourmets who don't have the time to toil with numerous pots and pans or appliances to prepare their favorite recipes, and worse yet, to have to clean them afterwards. Indeed, some food processing thermal cookers can process the ingredients of the recipe and then cook them all in the same bowl with very little to clean afterwards. Just imagine throwing your onions and some veggies into the bowl of the unit to have them chopped, adding some oil so they are sautéed, before adding your raw meet which will then be cooked perfectly with the veggies at the right temperature while it's all mixed by the machine at the right speed and for the right amount of time! There are mostly two types of food processing cookers: The first type provides various tools that can be attached directly to the bowl which can chop, mince, mix, whip, knead, blend and stir the ingredients at the desired speeds. Their heating system can be timed and temperature adjusted for perfect results. The second type provides an additional attachable food processor which is used to do the slicing and shredding of the ingredients which are then thrown into the main bowl of the unit for cooking. With the first type, you have less too clean, since it is all done in the main bowl. But, the second type allows you more specialized slicing and shredding, since it uses an additional full fledged food processor that is attached to do the job. Some use induction heating for cooking while others have a heating element built-in. They are also equipped with sophisticated control panels that allow accurate control of motor speed, temperature and timing. Given the very busy schedules of most people in today's societies and the ever smaller kitchens found in modern apartments and condos, food processing thermal cookers are expected to become very popular. This article will compare Bellini Kitchen Master BMKM510CL and Kenwood Cooking Chef KM080AT food processing thermal cookers. These were not just the most popular among Amazon customers at the time this article was written, but they had also received excellent reviews from most Amazon buyers (an average of at least 4.5 stars each out of 5 stars!). Selected Food Processing Thermal Cookers on Amazon. By attaching different types of tools and blades to the stainless steel bowl, you can chop, mix, mince, whip, knead, blend and stir the ingredients in the bowl. Thanks to the precise temperature control and the steaming set that is provided, you can cook, sauté and steam the processed foods in bowl. It has no external attachments for extra optional equipment and all the processing and cooking work is done within its bowl or streaming basket. 1000W heating element and an 800W motor. 2.1 quart stainless steel bowl. 10 speed rotary control and pulse function. 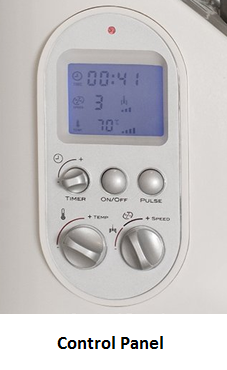 Adjustable temperature control (Min: 98°F - Max: 230°F). Lid with built in measuring cup. $399 (at the time of this writing; see below the Amazon products section for exact prices). The Amazon prices shown was in effect at the time this article was written and may have changed. For exact price, please refer to the Amazon products section below. The Kenwood Cooking Chef is a food processor that also cooks the processed food. It is equipped with four variable speed attachment hubs that allow customization of the machine with a multitude of included and optional attachments. The purchase includes a food processor and a thermo-resist blender. Operations such as shredding and slicing are done using the food processor attachment and the provided slicing and shredding discs. Operations such as mixing, whipping, kneading and stirring are done within the main bowl by attaching to it the appropriate tools, all provided. Thanks to the precise temperature and electronic speed controls you can sauté and cook perfectly the processed foods once they are in the bowl. Steaming is also possible using the included steaming basket. 1150W heating element and an 800W motor. 6.7 quart stainless steel bowl. 8 mixing speeds, 3 stirring speeds for cooking, pulse and fold functions . Adjustable temperature control between 70°F-285°F. Safety features such as interlocking head and outlet covers with sensors. Five stainless steel bowl tools: K-beater, flexi-beater, power whisk, cooking stirring tool and dough hook. Thermoresist glass blender that attaches to one of the for hubs on the main body. Food processor that attaches to one of the hubs on the main body, with chopping blade and six stainless steel slicing and shredding discs . Steamer basket that fits inside the bowl turns this kitchen machine into a steamer. Heat guard and splash guard. The optional attachments include: pasta roller, food mincer, rotary slicer/grater, grinding mill and citrus press, all sold separately. These can be obtained below in the Amazon products section below and can be run on the slow speed outlet. So which food processing cooker to buy? Though both products come with various tools that can be attached to the main bowl so that the food ingredients are processed and mixed while cooking, Kenwood Cooking Chef can also be equipped with a number of included and optional attachments that are in themselves full fledged kitchen appliances. Indeed, as described above, Kenwood Cooking Chef comes also with a blender and an additional food processor that can be attached to the main body. With Kenwood Cooking Chef, it is this food processor that is used to slice and shred, while with the Bellini Kitchen Master it is the tools that are attached to the bowl that do the slicing and shredding. Clearly, a dedicated full fledged food processor is expected to do a better job slicing and shredding than what can be achieved by the all purpose bowl of the Bellini. For instance, using the appropriate slicing discs of the Kenwood food processor, you can slice your vegetables in different sizes and shapes, something you can not do with the slicer and shredder attached to the Bellini bowl. Also the additional food processor and blender of the Kenwood Cooking Chef could be very useful for preparing additional recipes while your main recipe is being cooked in the unit's main bowl. Note that Kenwood also has additional appliances that are optional and that can be bought separately, such as a pasta roller, food mincer, rotary slicer/grater, grinding mill and a citrus press, all attachable to the main body. So, for those who have not bought yet any kitchen appliances, who have poorly equipped kitchens, or kitchens with little counter space, Kenwood Cooking Chef is ideal, as it is equivalent to a whole bunch of appliances that can be run in the same kitchen counter location. On the other hand, with the Bellini Kitchen Master, you will not have any additional appliance to clean since everything happens within the main bowl. If you already have most of the useful kitchen appliances, and you are simply looking for efficient cooking that will not only cut time, but will also cut the number of pots and pans to clean, while still producing delicious recipes, don't hesitate to get the Bellini Kitchen Master. You would also be saving a lot of money. Amazon often provides a good discount on the List Price of sold products. If a discount is available, the List Price and the actual Amazon price will be shown when you click the product link images below.